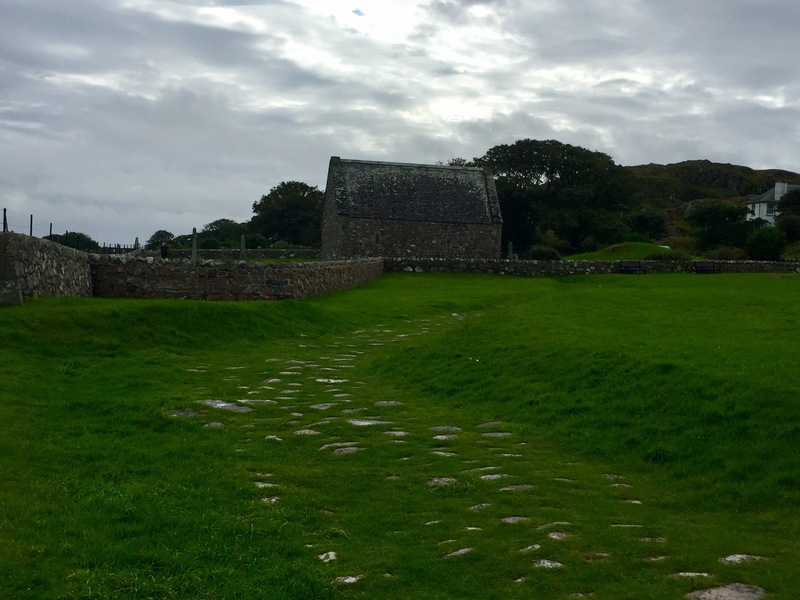 The road that kings, bishops and others would have traveled from the sea to burial service in abbey. Macbeth is thought to be buried here. Many gravestones are now in a museum behind the abbey for safekeeping. 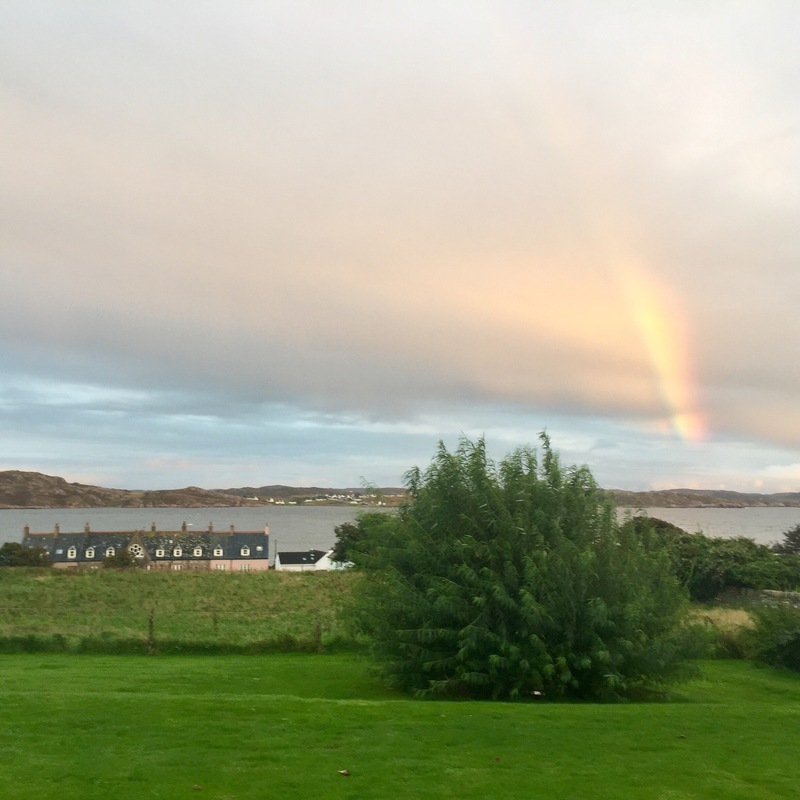 Rainbow over Bishops House, just east of abbey. 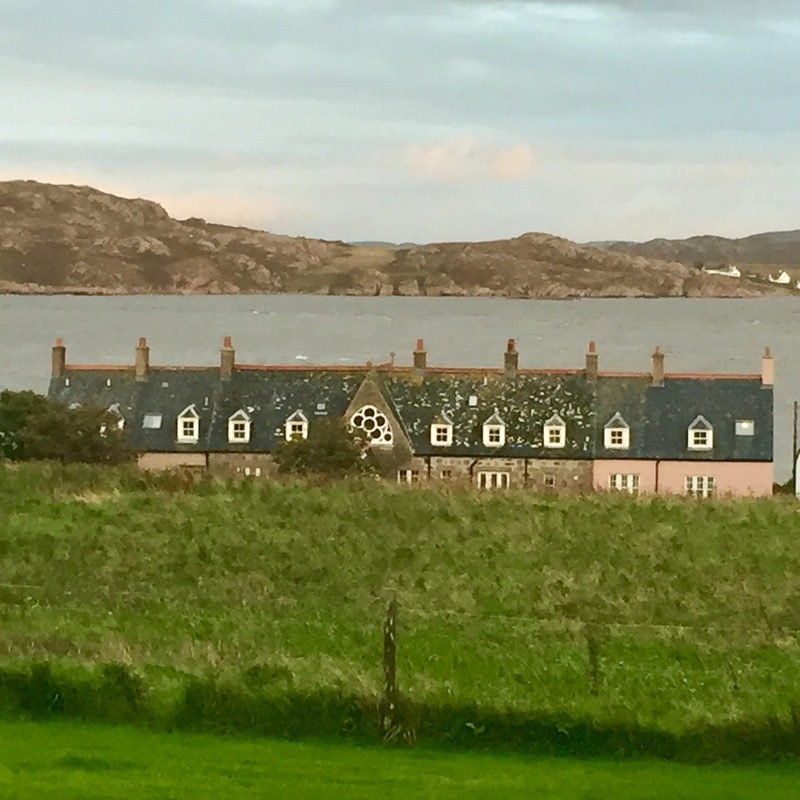 This is the Scottish Episcopal retreat center; we were married in their chapel in 2013. 10 Sep	This entry was published on September 10, 2017 at 8:05 am and is filed under Uncategorized. Bookmark the permalink. Follow any comments here with the RSS feed for this post.